Dr. Alex B. Guenther, a renowned scientist in land ecosystem and atmospheric research, has joined the Pacific Northwest National Laboratory to lead research in the interactions between terrestrial systems and climate. Guenther is a world-leading expert on the processes controlling chemical emissions from plants and how these emissions affect air quality and regional and global climate. His leadership of more than 40 field studies across the globe, expertise in both advanced measurement techniques and numerical modeling, and extensive publication record attest to Guenther's standing as an international scientific authority. Guenther gained prominence through his systematic advancement of groundbreaking measurements and modeling of biogenic emissions, which led to his development of the Model of Emissions of Gases and Aerosols from Nature, or MEGAN. His emissions estimates are part of most Earth system models (ESMs) used by researchers today. In addition to its wide use in research, MEGAN is also an essential tool used by regulatory agencies. Guenther has received numerous awards and leads several national and international scientific efforts. For example, he currently serves as co-chair of the Integrated Land-Ecosystem Process Study (iLEAPS), a core activity for the International Biosphere Geosphere Programme that focuses on understanding how physical, chemical and biological processes interact to transport and transform energy and matter through the land-atmosphere interface. He has also served as an author in the Third and Fourth Assessment reports of the Intergovernmental Panel on Climate Change, or IPCC, was awarded the 2011 Yoram J. Kaufman Award for Unselfish Cooperation in Research from the American Geophysical Union, and currently serves as an editorial board member of several scientific journals. At PNNL, Guenther will promote advancements in examining the role of terrestrial ecosystems in climate change. His work will span and further integrate PNNL's extensive measurement capabilities, including the Atmospheric Measurements Laboratory, and the laboratory's diverse programs in atmospheric and climate modeling. 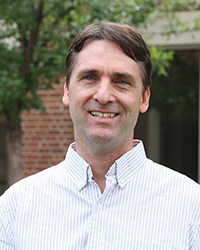 Guenther will be appointed as a Laboratory Fellow in the Atmospheric Sciences and Global Change Division in the Fundamental and Computational Sciences Directorate. He will also serve as the lead scientist for atmospheric aerosol science at EMSL, the Environmental Molecular Sciences Laboratory, a DOE national scientific user facility located at PNNL. In this role Guenther will direct the science vision for how EMSL advances aerosol science aligned with the DOE Office of Biological and Environmental Research's mission. Guenther is a former senior scientist, section head, and group leader for the Biosphere-Atmosphere Interactions Group at the National Center for Atmospheric Research (NCAR) in Boulder, Colorado. He is an adjunct professor at Washington State University. Guenther earned a BS in Biology from the University of Puget Sound, an MS in Environmental Engineering and PhD in Civil and Environmental Engineering from Washington State University. PNNL is delighted to welcome Dr. Guenther to the Laboratory.